Have fun learning how to prepare, measure, and mix delicious cocktails from behind your own home bar. Classes cover cocktail balance basics, as well as the proper equipment and techniques to make the perfect seasonal cocktails for you and your party guests. All classes take place on Thursdays in April from 6:30-8:30 pm. Class registration is $50 per person. The class registration fee is non-transferable and non-refundable. Please note that we will be sampling cocktails during the class. Light snacks (like pretzels and chips) will be provided but you may want to eat a meal before the class. Additionally, we encourage all participants to plan responsible transportation. You can sign-up for classes by clicking on the desired date above. Payment is made via credit card or PayPal. You will be asked to enter the full name of each participant and then taken to our Shopping Cart for payment and checkout. An email confirmation will be sent to you with your ticket confirmation. Classes are limited with registration fulfilled on a first come, first served basis. All ticket sales are final. 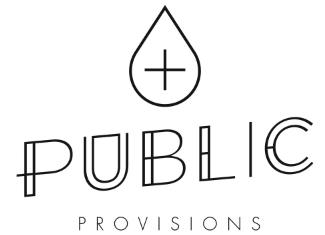 Public Provisions was founded in 2013 with quality and accessibility as guiding principles. Currently operating out of Portland, Oregon, the Public Provisions team brings the best of mixology to your event, small or large, up and down the West Coast. Our cocktails are culinarily-driven with an emphasis on freshness and ingenuity – showcasing appreciation for classics and excitement for contemporary revisions. We take inspiration from the sun-soaked beaches of Santa Monica, hyper-local ingredients from Portland, and Seattle’s progressive appetite and intertwine them all, bringing a truly unique beverage experience to you.